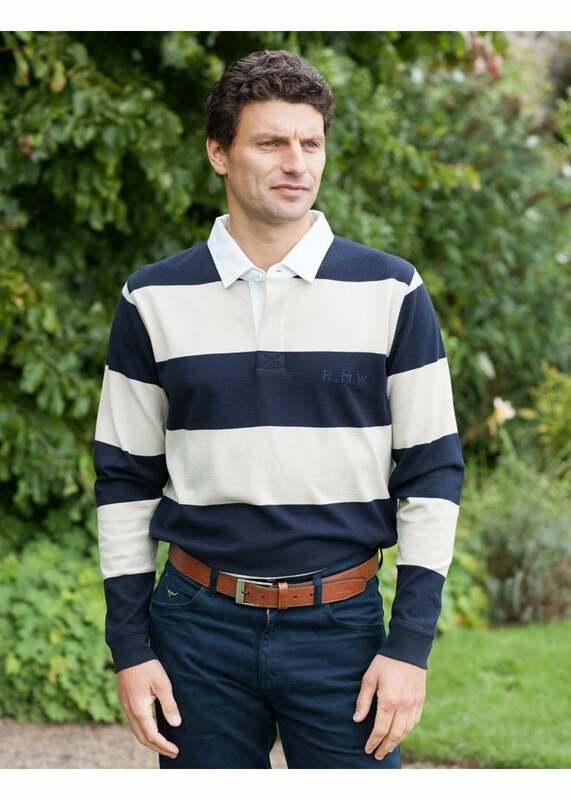 The RM Williams Tweedale Rugby Shirt is a classic heavy cotton rib jersey rugby shirt that features wide block stripes. The RM Williams Tweedale Rugby Shirt is a classic heavy cotton rib jersey rugby shirt that features wide block stripes. Easy to wear and highly comfortable, this shirt is a great addition to your everyday wardrobe.